Just one article from the newspaper, and a whole year program lies before you . 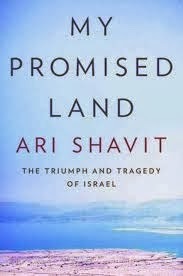 My paper last month reviewed the book My promised land. The triumph and tragedy of Israel, written by Ari Shavit . It's about Israel and its history, and the author makes an attempt to be as open and honest about the subject as possible. 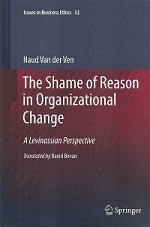 In the book, and therefore in the review, a series of remarkable questions is presented. Weird questions or pat ones, I do not know yet. In any case, questions that trigger an explosion of still further questions in me. For example, somewhere in the headline it says : “ How long does Israel have?” That’ s a remarkable question indeed. Anyway, I’ve never heard that question with regard to China or Spain or the Netherlands. Where does that question come from? And what does it mean for the people of a state, if apparently its existence can be considered shaky? Does that justify extensive security and demographic measures to insure its existence? Or do these measures precisely undermine the acceptance of that state by others, and thus its stability ? Another statement which gives rise to many more questions. Shavit writes that if his grandfather had remained English, his descendants would be assimilated. Shavit himself would probably have been half – Jewish “and have had a less rich inner life”. Do Jews, then, generally have a richer inner life than non-Jews? What is such a statement based on? Does the concept of ‘chosenness’ play a role here? And what does the statement to non-Jews who read it? Might it arouse indignation, or envy? Is there a possible connection to anti-Semitism? Clearly , I need to read that book. And already in advance I have enough questions to fill a whole new year. Also see Are Jews smarter?